The discount is valid will be until Aug 31 2019. 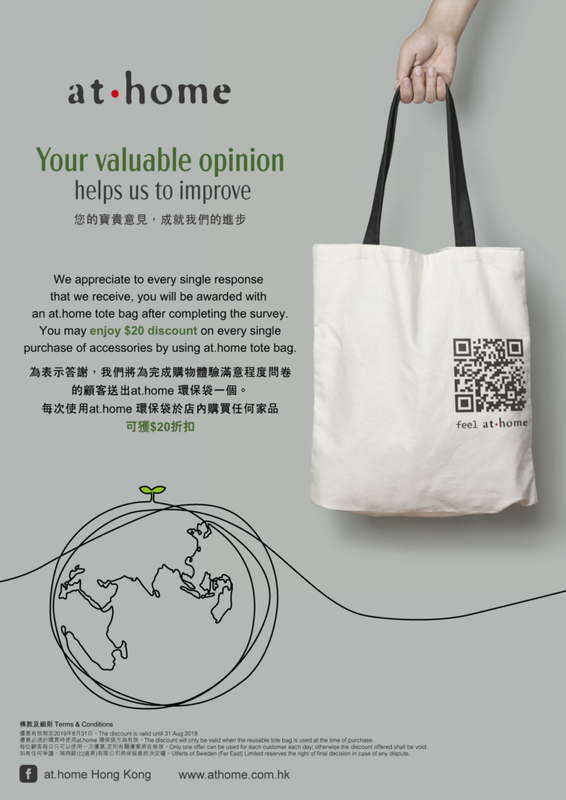 The discount will only be valid when the reusable tote bag is used at the time of purchase. Only one offer can be used for each customer each day; otherwise the discount offered shall be void. Ulferts of Sweden (Far East) Limited reserves the right of final decision in case of any dispute.